In theory, receiving and listening to hundreds of demos each week sounds like an exciting and intriguing challenge. In reality, it is a very challenging and unpleasant process. Have you received a demo with no file tags, making impossible to track it back to an email? A corrupted attachment? An unfinished soundcloud clip? Or perhaps a message in your personal facebook? As label owners, we have all been there and complained about that. 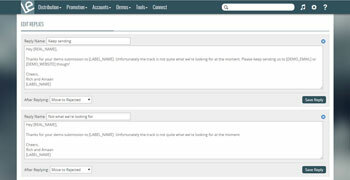 With Label Engine's Demo Management system, each of your labels can be assigned both a URL (e.g. http://yourlabelname.label-engine.com) and an email address (e.g. yourlabelname@label-engine.com). 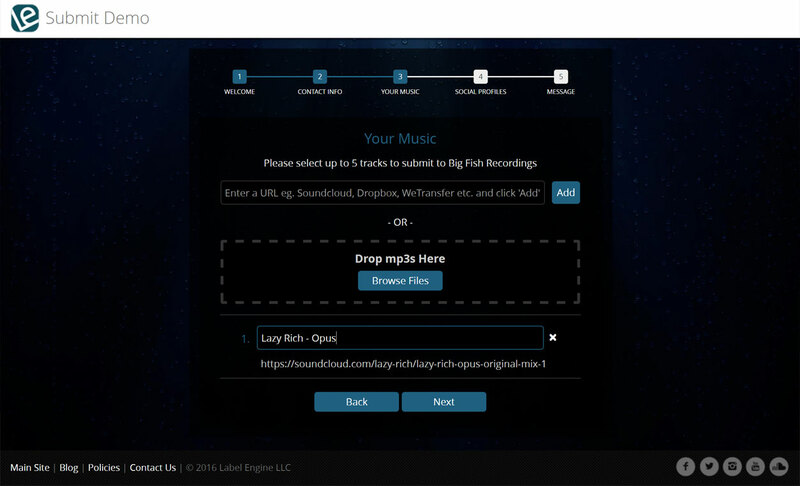 The URL allows artists to upload or provide links to demos of up to 5 tracks, as well as add extra information about themselves, on a fully customizable demo page. Any emails sent to the email address are automatically parsed by Label Engine and all important files and information are extracted. 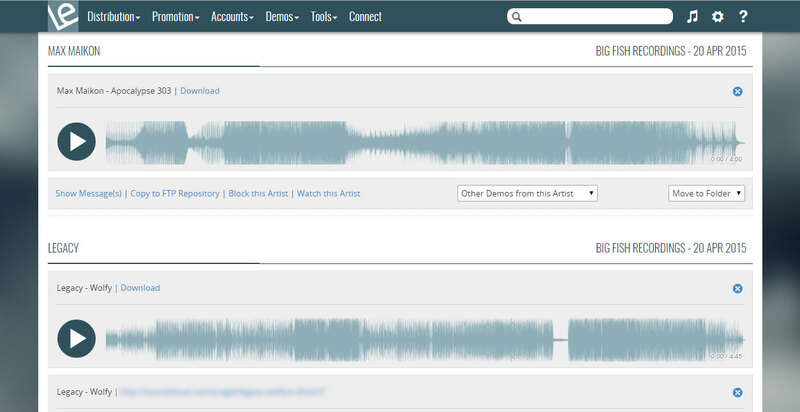 Your demos page will show you all incoming demos - any uploaded or attached mp3s are playable, soundcloud or zippyshare links are provided through an embeded player, and links are provided to any external files. Don't have the time to reply to each demo individually? 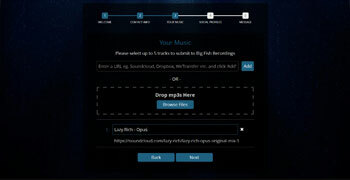 Create auto-reply messages that can be used for any case, whether you wish to sign a demo or encourage artists with potential to stay in touch. In the rare case you don't wish to deal with a specific artist or they keep sending you demos that don't fit your label, block them, life is too short to waste any precious time. Demos can be organized into folders to keep track of those that are selected, rejected or those that need further decision. 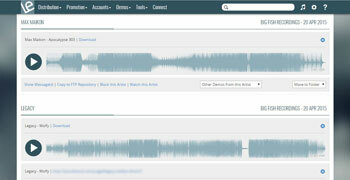 Demos can easily be added into your repository with all artist information attached for further reference. 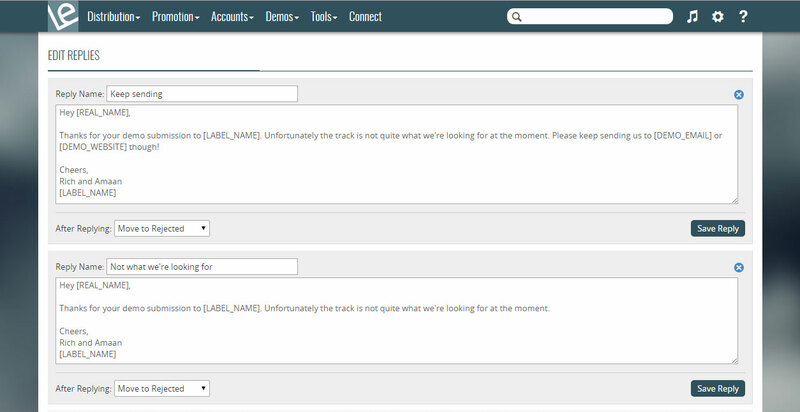 Let Label Engine help you find the next big hit, don't ignore your demos anymore! "Label-Engine is revolutionizing the next generation of independent digital record labels with their countless innovations." Label Engine's Demo Management system is available with a Demo Management or Promotion Subscription and is provided free of charge to all Labels that use our Premium Distribution service. For full subscription details please check our pricing page.